This is the thread where you can suggest swords, daggers, staves, and anything else you want to hit a monster with! 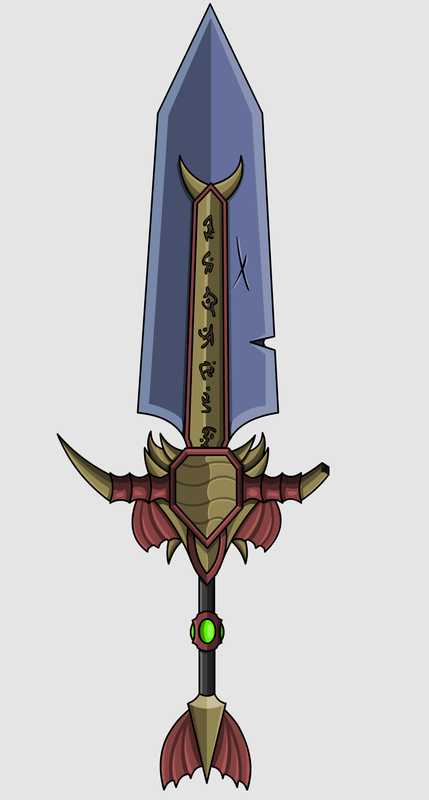 Ancient Dragon Fire (Colored) - I decide to make this sword seen in only battle. (When you attack a monster/player it will be transform to that sword in flames. Thank you for taking a look at my suggestions. Discription : You think you're a demonic slayer? You think you can slay 9001 monsters under 5 minutes with one arm behind your back while armed with a empty coffee mug? If sir master dark sees you worthy, you may be demonic enough to slay with this weapon. SLAY ON! I would like to suggest an idea. It is a wooden brief case with "AQW" printed on the sides. Forged from lava collected in Vasalkar's Lair, this blade will melt through your opponents! Forged by 2die is 2live. This weapon has been said to be forged long ago for a fight that ended with this blade through someones heart, giving it a fierce name. Recently discovered by 2die is 2live. This unholy weapon has been forged in the blood of those who oppose Queen Safiria, 2die is 2live is inscribed on the hilt. This unholy weapon phases in and out of reality, never sated from its constant battles, its only truly affective during war. 2die is 2live seems to have run out of ideas of what to forge, so he went to /join graveyard and "made" a club! This devastating blade seems to be low on power, luckily for you. Recently discovered by 2die is 2live. A fabled blade made from the remains of powerful dragons, 2die is 2live is etched on one of the wings. Didn't really put my best into it, because I know you'll ignore it. Anyway: Description: "What have you done? You made me do it! It's your fault!" Here is a recent sword I made for the Halloween season. Doesn't have a name that I can decide on but the concept was inspired from the gates of hell from Bleach. The sword sizes should more or less be around the same with the PlatinumEdge while the Polearms might be around the size of the Silver Polearm at most. A sword crafted by a master swordsmith and blessed by the spirits of spring. Its radiates an enhcanting beauty & shine as etheral flowers flutters around the sharp blade. A glimmering sword crafted by a master swordsmith in Akiba that is said to be blessed by a Snow spirit. It radiates a faint glow and chilling air that can freeze anything it slashes. A cursed sword crafted by a mad swordsmith who legends say forcefully sealed a Snow spirit within the blade. It has slowly darkened more & more as it continued to feed on the blood of it's oppponents. A work of art created from the combined efforts 2 wandering swordsmiths from Akiba & Dwarfhold. The runes enhance the durability & sharpness of the katana, making powerful swift & precise cuts easier. A sentient black sword infused with the will of powerful ethearal spirits of darkness that can only be summoned during a total eclipse. A well crafted short sword with no magical enhancements or spells. Nonethless, it is known as an extremely durable & dependable weapon making them a famous choice for the local mercenaries & militias. A halberd used by Magic Knights made from the bones and claws of magical creatures. Several clear gems are also embedded unto it to further amplify the flow of mana of the user, strengthening their blows as well as their spells. Prototype combat pistols. Initial design emphasizes immediate respone for a gunner when forced into close quarter battles. Latest model of close quarter combat pistols. Improved weapon power & durability has shown favorable results against monsters large & small from medium to close range battles. A special, durable high-tech tonfas used by enforcers. Often used as a non-lethal weapon due to its excellent offensive & defensive capabilities specially in the hands of a professional. Avenger class sword made by infusing it with light spirit orbs, giving it its holy golden aura. Avenger class sword made by infusing it with dark spirit orbs, giving it a fiendish evil aura. Avenger class sword made by infusing it with tainted & corrupted spirit orbs, giving it its menacing aura. 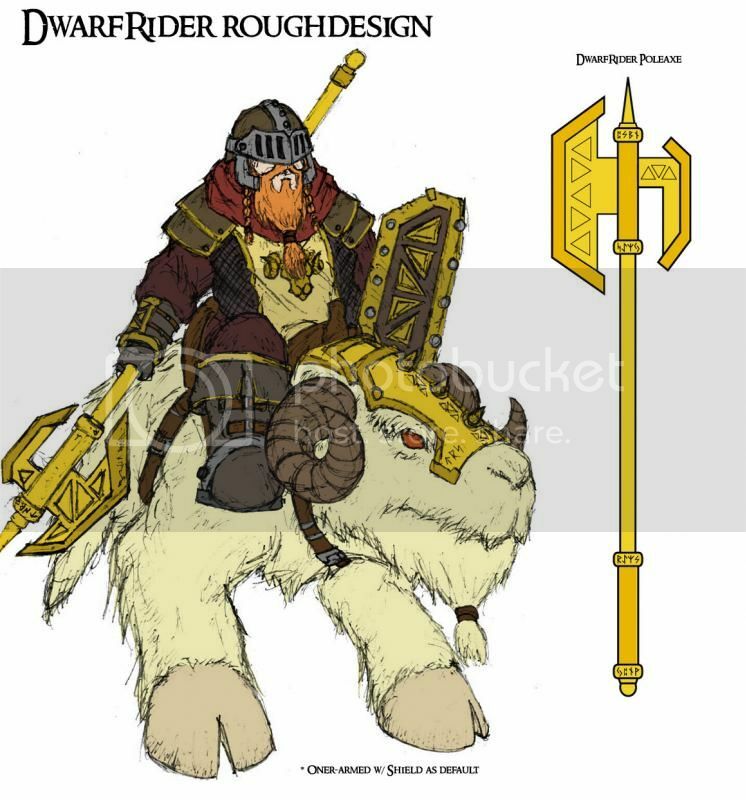 A sturdy poleaxe crafted for giving heavy strikes in hit & run tactics employed by the Dwarven Cavalry. A thin & lightweight sword used by Drow Raiders for quick strikes. I hope you enjoy them and Thank you for your time! http://tinypic.com/r/2r2cbgk/5 This is my Death Scythe. I'd like it to look like a necrotic weapon. With the runes down the staff glowing red and also the edge of the scythe glowing red all around the actual scythe part. Not the handle. The skull black and so should the inner scythe part. And also the veins should be glowing red. A couple weapons I made while experimenting with random Ideas. This is what happened when a swordsman smashed the sacred sapphire, now will anyone dare to wield the blade? The blade of a once great king before he died it was handed down to generations of his family until one day it went missing, That is until now. 2) Kiinazuma Katana < Yes there are 2 i's. Kiinazuma means: "Yellow Lightning" in Japanese. 3) Shadow Blades < Is an old concept. 7) Hayabusa Katana < Hayabusa translates to 'Falcon' in Japanese. I don't know why I chose this name but...YEAH! 10) Ao-Aka Katana < Ao-Aka translates to Blue-Red in Japanese. 12) Chitan Katana < Chitan translates to Titanium in Japanese. 13) Ketsueki Katana < Ketsueki translated to Blood in Japanese. 16) Kusanagi-no-Tsurugi < Kusanagi no Tsurugi translates to 'Grass Cutting Sword'. The sword is part of the Imperial Regalia of Japan trio. 17) Achimurasaki Katana < Achimurasaki translates to 'Light Purple' in Japanese. 19) Kiniro Tsubasa no Aoi Tsuki < Kiniro Tsubasa no Aoi Tsuki translates to 'Golden Wing's Blue Moon' in Japanese. The Japanese characters on the blade each say: "Death", "God" & "Katana". 20) Lightsaber Katana < If this ever gets suggested but needs a name change I'll change it to 'Katana of Luminescence'. Dragon Slayer's Bane: A weapon created by player mega manAQ, according to legend this weapon was forge using the Onyx lava dragon's scale. Khan's sealed blade: mega manAQ defeated the snake lord Khan and sealed it in this very blade. I would like to put this drawing ( a weapon ) to be added in AQWorlds suggestion shop.. Weapon 1:The Dagger of Corruption (Goes with The Slayer 2 Class that I explained in the armor suggestions). Description:A dagger that has an ancient gem, looks like it used to be part of a soulgem. The rest are just 65. The dagger has a quite pointy blade that looks like a triangle, the hilt has a huge smile shape on it underneath the blade made of gold and ebony. And in the middle is a glowing red gem. The handle is made of Refined Steel and the Pummel of the blade looks like an eye but a completley black one with a red glow in it. 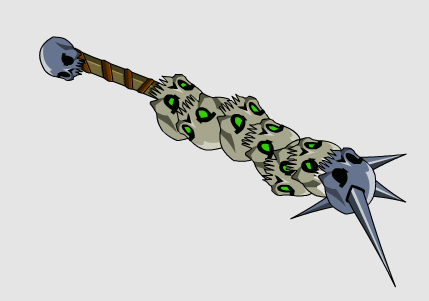 Weapon 2:The Blade of the Void Undead. Description:A blade forged together will all of the known metals in the entire galaxy and has been fused with a dragonorb to make it more powerful. You can try making the Dagger of Corruption from the description of it but please give me credit for the info on the dagger. And you can try changing a few things on the Blade of the Void Undead but please give me credit for that aswell. Yes I did try doing the Blade of the Void Undead from scratch, not easy to make a sword like that look exactly the same as in the picture of the Void Undead.